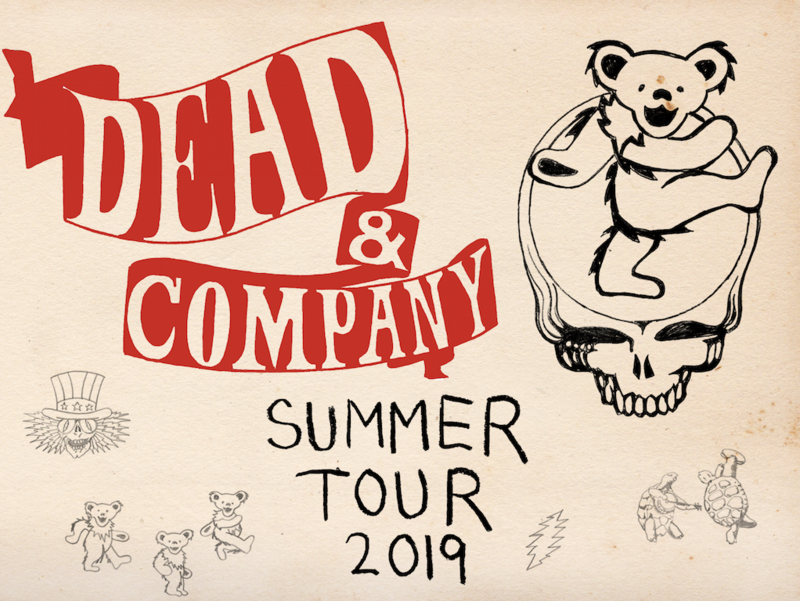 On Monday, December 3, we will be sending out presale codes for Dead & Company shows at Wrigley Field. 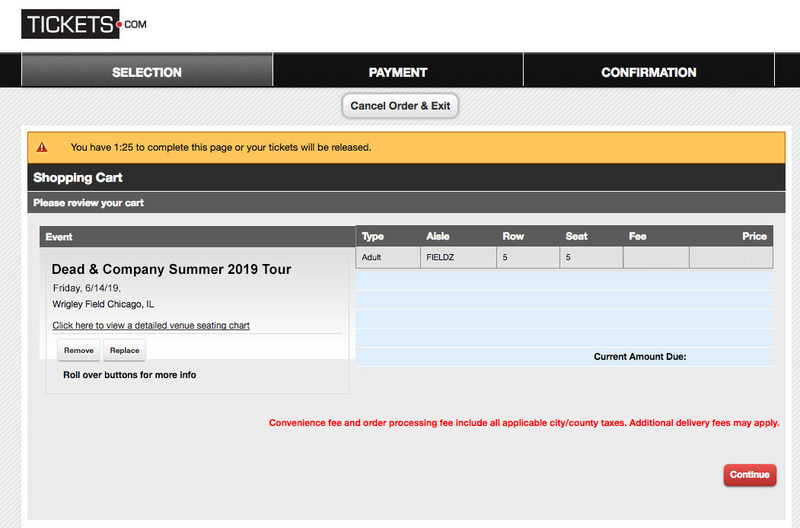 Not all Verified Fan ticket purchases for this tour will take place on Ticketmaster. 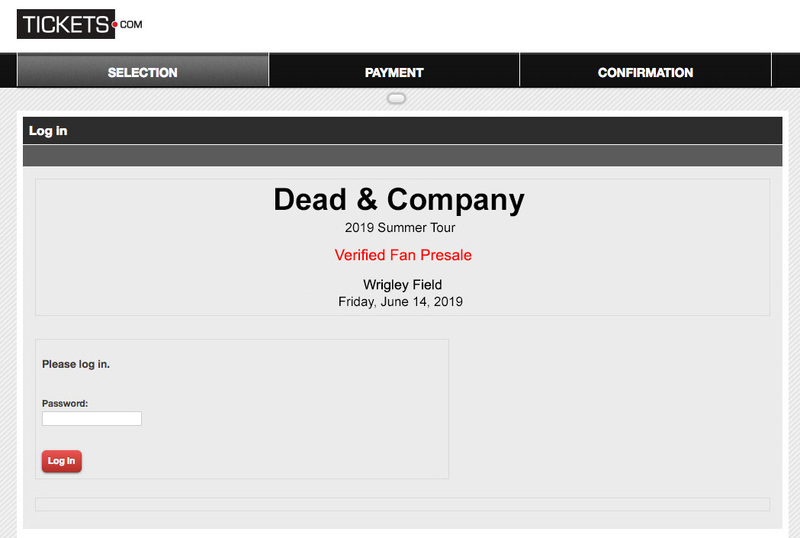 Continue below for detailed shopping information, tips to prepare, and relevant customer service contacts for Wrigley Field during the presale. 2. 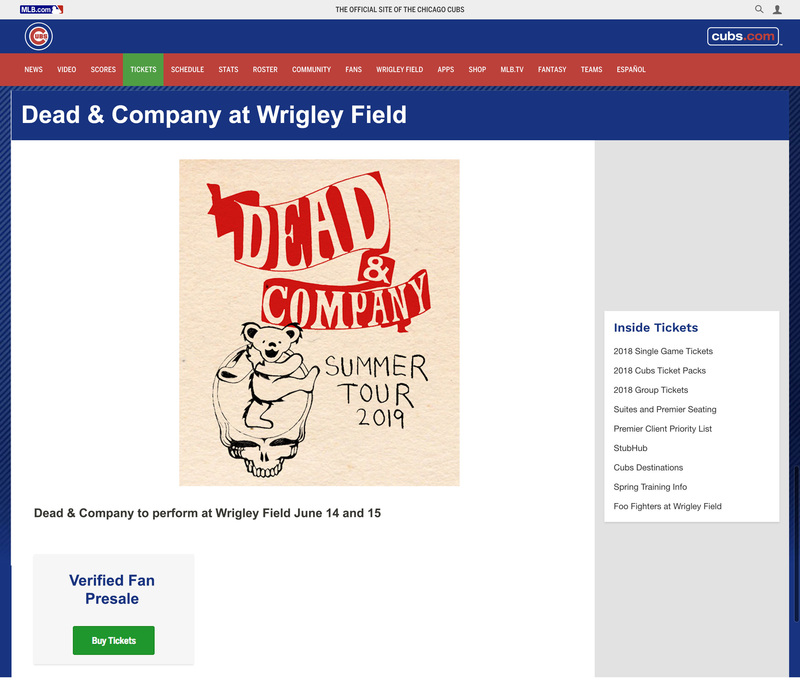 When you click the link provided in your text and you will be routed to Tickets.com to begin shopping. 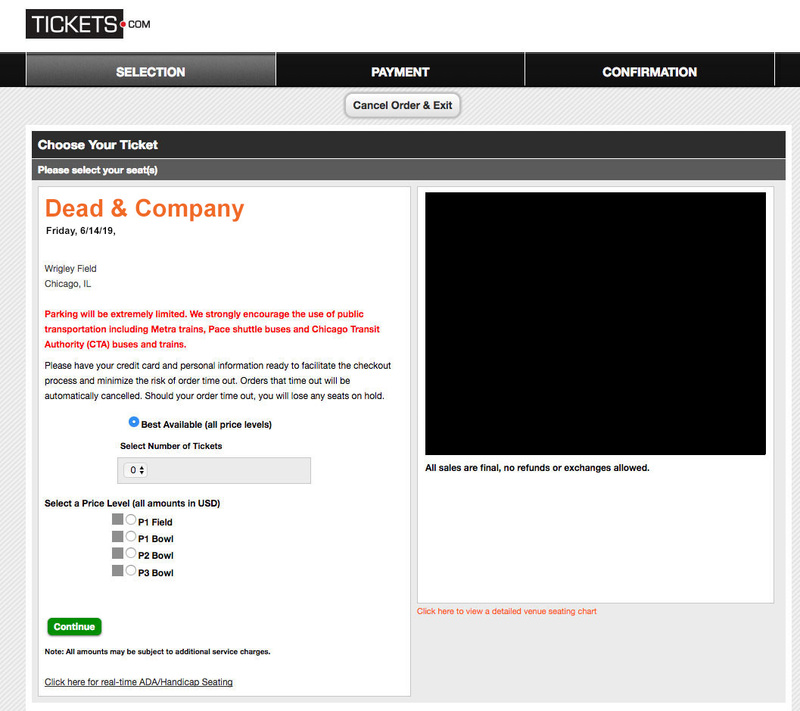 Upon landing, click the Buy Tickets button located at the bottom of the page. 4. 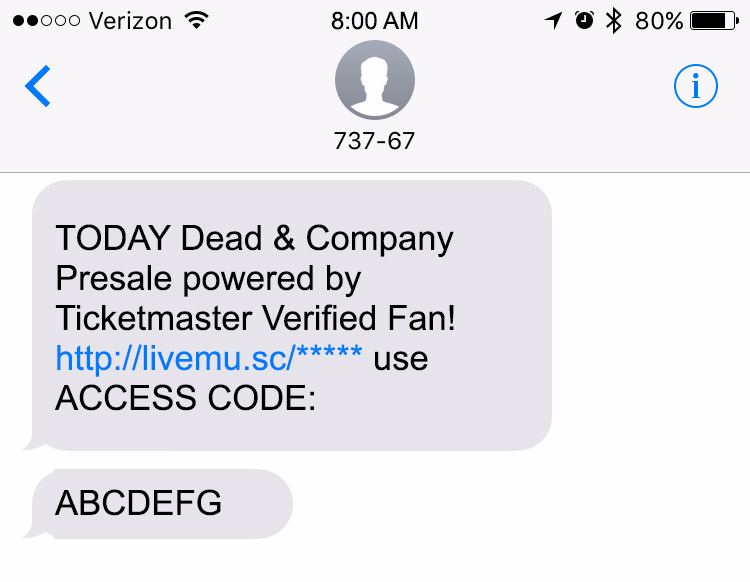 Enter your presale password exactly as it appears in your text. Please note: passwords are case-sensitive. 5. 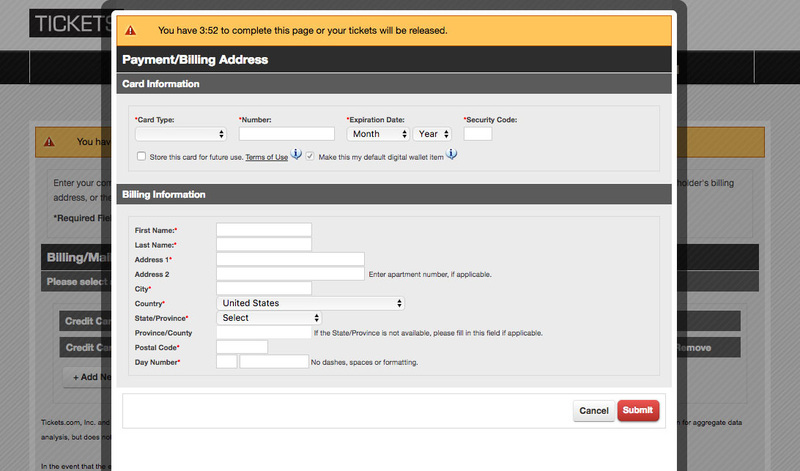 Select the number of tickets you would like and desired price level. You may also shop for ADA seats by clicking on the “ADA/Handicap Seating” text link below the “Continue” button. As a reminder, there is a four (4) ticket limit, per presale password. Tickets will be available on a first-come, first-served basis and are not guaranteed. 6. If available, your tickets will be reserved and you’ll continue to checkout. 7. 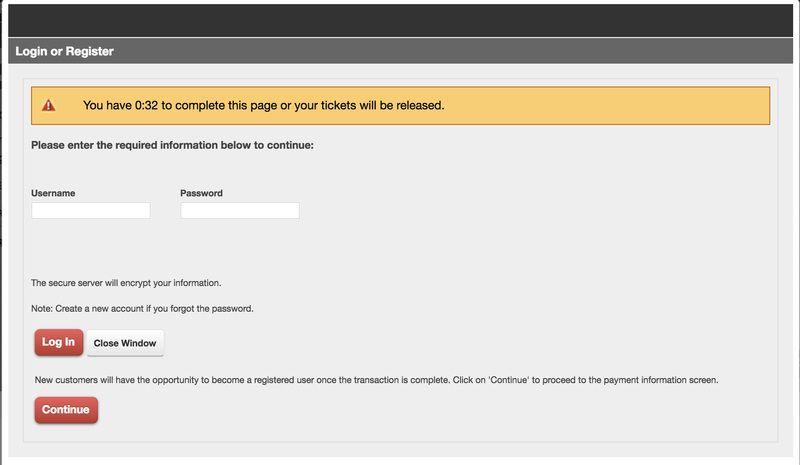 Next, login to your Tickets.com account or create a new account. 8. 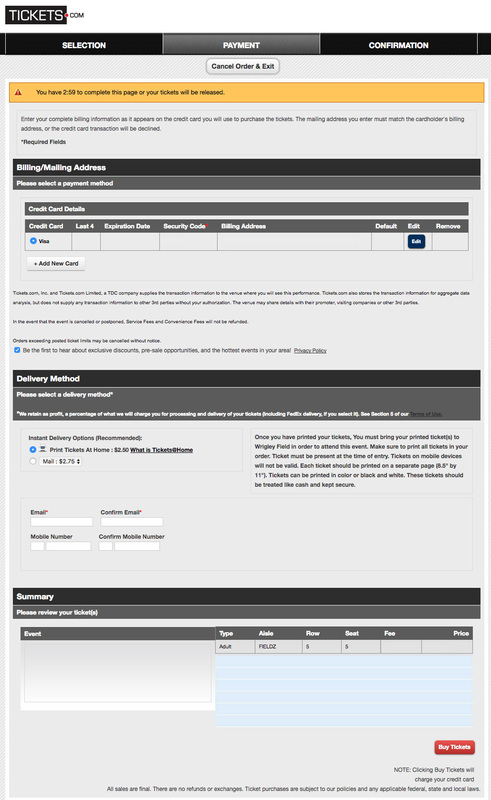 Enter your payment information, and continue to the next screen to place your order. Presale passwords are valid for up to four (4) tickets and can only be used once.